Blue eyes have always been a noticeable feature among living as they are both attractive and mysterious. As per a research, all blue eyes people share a common ancestor. Interestingly blue colour is basically caused by gene mutation. Basically, OCA2 gene determines the quantity if brown in our eyes, however some people have a rare HERC2 gene which switches off the OCA2 gene thus making eye colour blue. 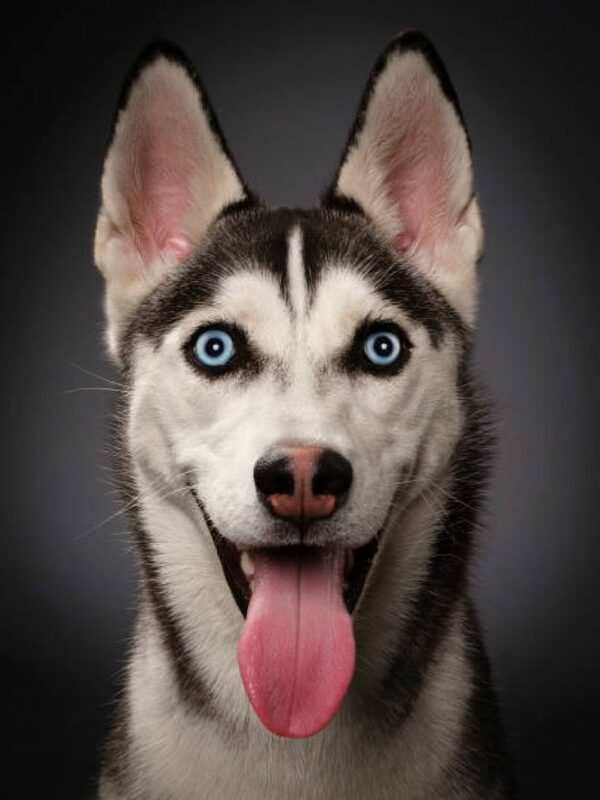 Since both animals and humans eyes are quite similar therefore having blue eyes is rare among both animals & humans. 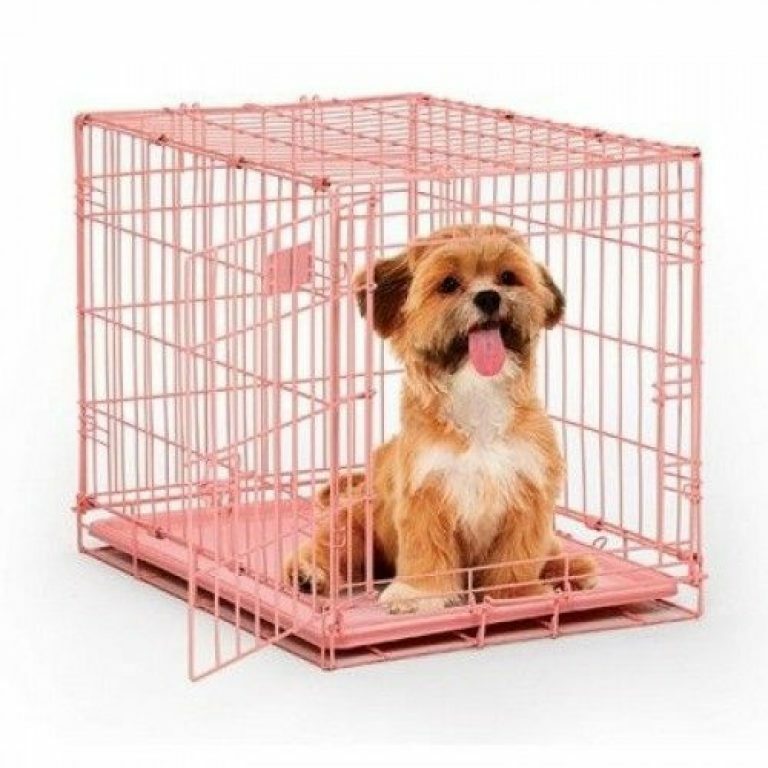 And when you narrowed it down to dogs, then it becomes even more rare. 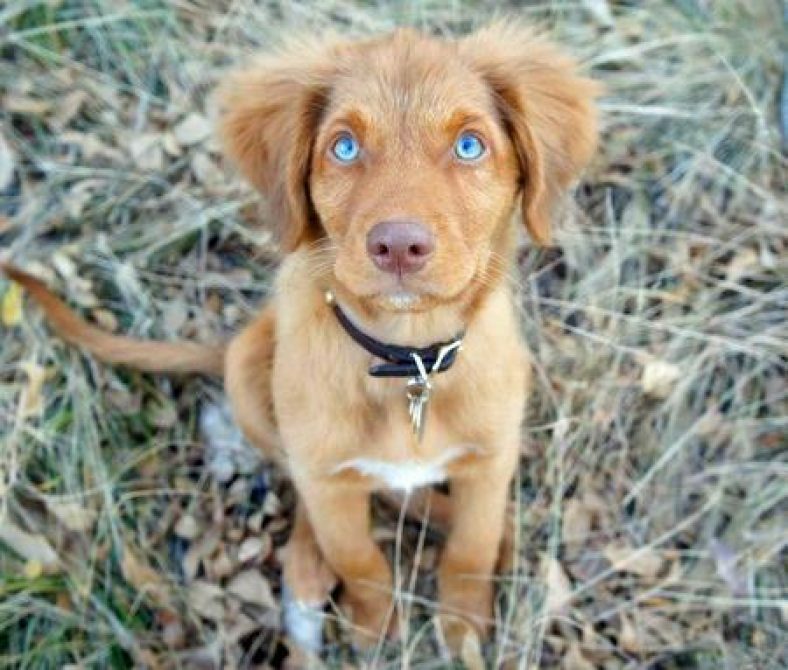 And just like humans, dogs with blue eyes are extremely attractive. 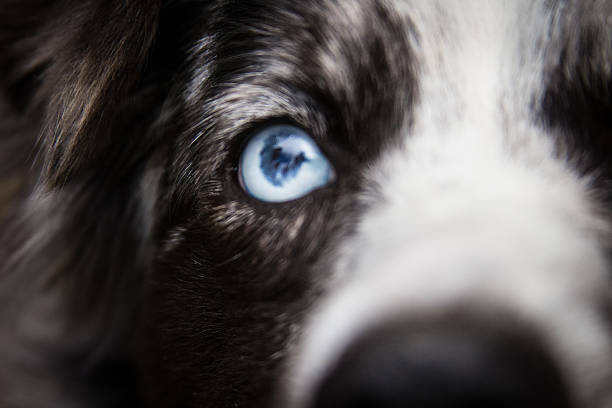 Just like HERC2 gene is responsible for blue eyes in humans, similarly Merle gene is responsible for blue eyes in dogs. 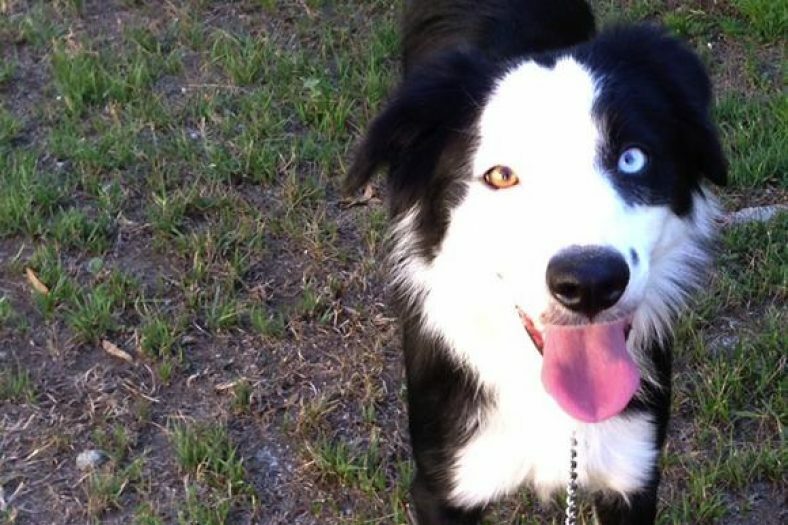 A dog can have a completely blue, split, or wall eyes. 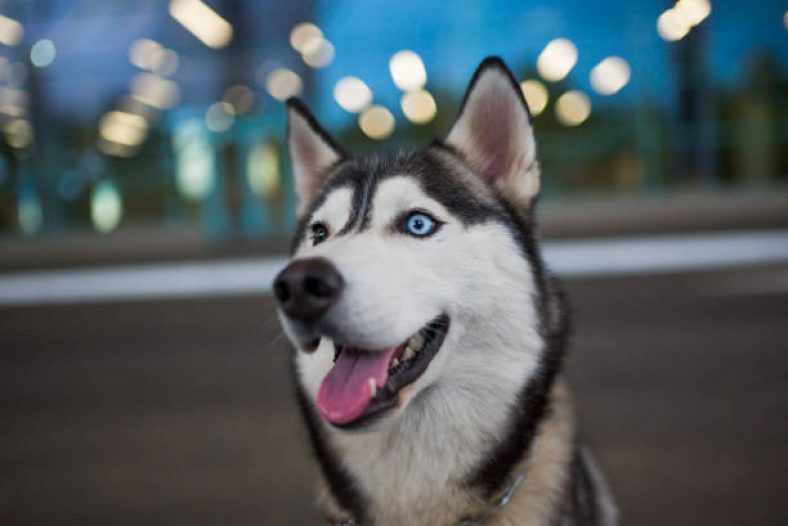 Split eyes is when dog eye has some blue in it whereas the wall eyes means one complete blue eye and other with different colour. 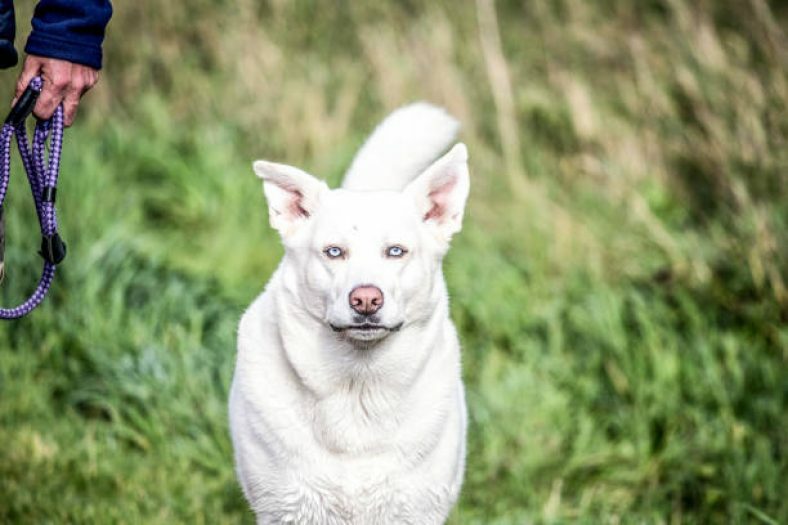 Beside genes, a dog eye colour can be blue because of either cells not producing enough pigment or albinism. Another cause, which is very rare, is an altogether separate gene. 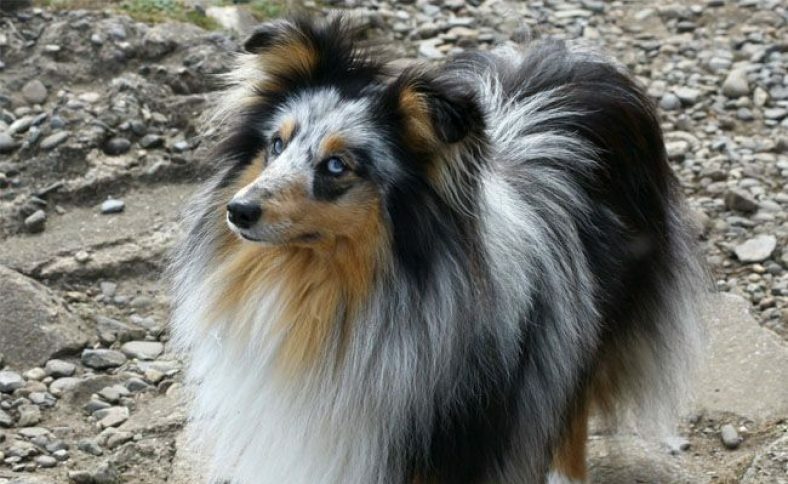 It is very rare and mostly occurs in specific breeds like Border Collies or Siberian Huskies. 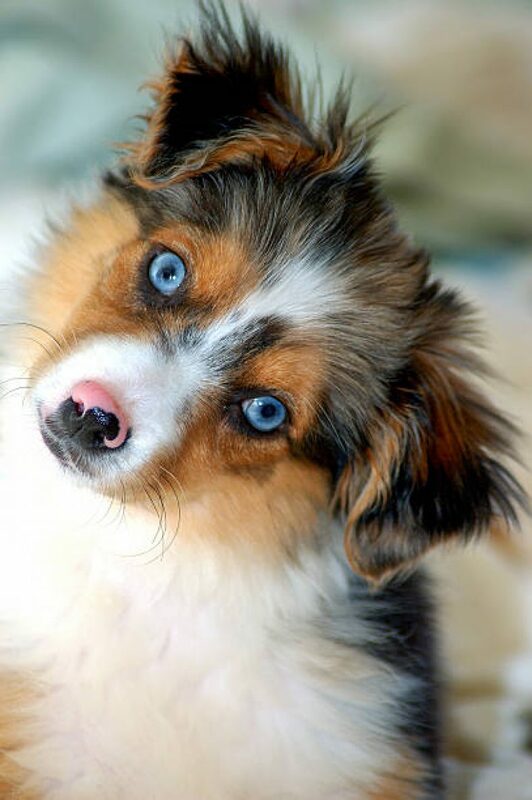 All puppies are born with some shade of blue eyes. 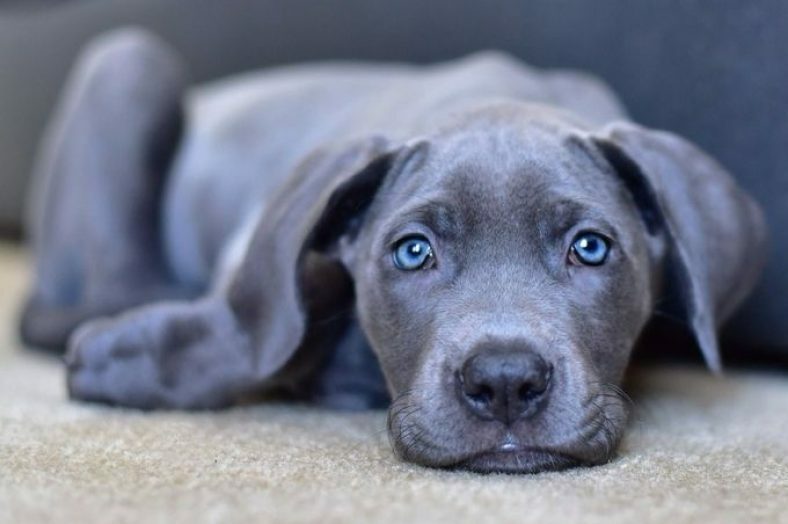 Its only after 12 weeks their eyes gets matured and get a permanent colour. 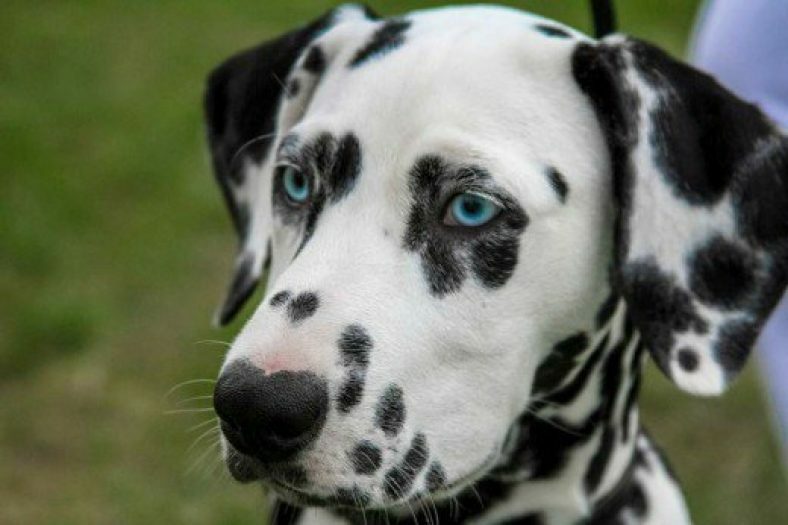 So not all puppies born with blue eyes, ended up with permanent blue eyes. 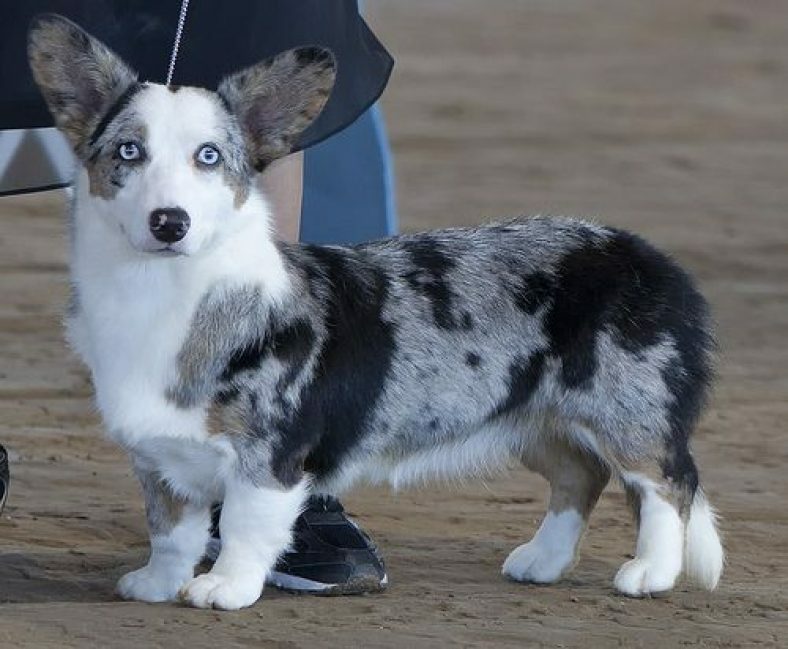 Althoug blue eye does not mean that your dog have some health issue, however the blue color is caused by lack pigmentation or Merle gene. 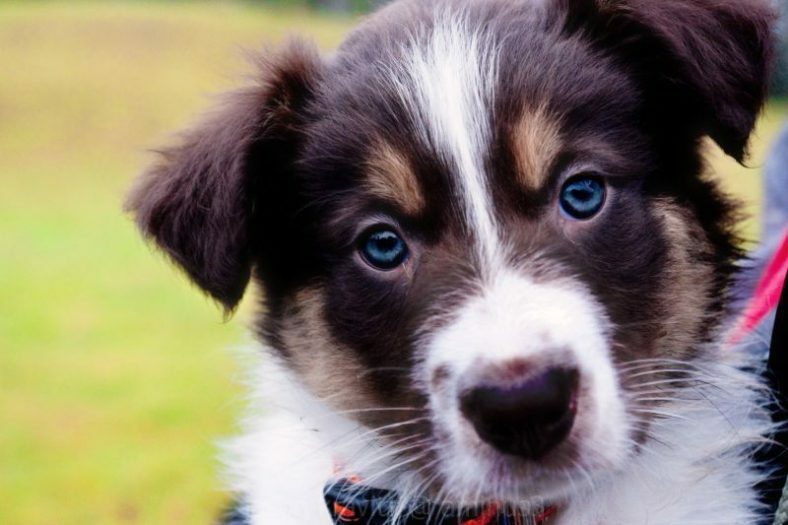 An offspring of 2 Merle Carriers has a higher chance of having health issues like blindness or deafness. 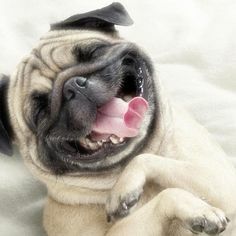 Similary any dog who have 2 dose of Merle genes are often deaf. Now some awwww time! 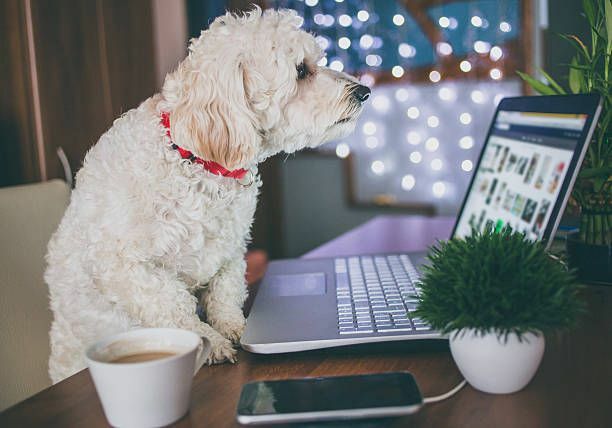 Following are some of the most beautiful puppers & doggos with blue eyes.